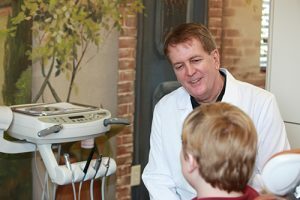 Miles Dental | Family Dentistry | Renew Your Smile. New Patient Deal! Cleaning with Exam & X-rays Included: $89 Adult & $60 Child. Examination Without Cleaning: $29. We Have Some Great Deals on Dental Whitening. No Insurance? No Problem. We Have Our Own In-House Dental Plan. SPECIAL: Save 10% on initial visit fees, just by prepaying for your visit when you call to schedule. Please respect our time, by calling us before noon, a day ahead of your visit if you need to cancel. The will be a $50 charge for appointments cancelled on the day of the visit. Prepayment deposits are refundable until 12-noon, of the day preceding your visit. Call us before this time, if you need to reschedule, or you will lose your deposit. Most insurance assignment accepted, but a $50 deposit will be required if you break your visit. You may send a family member in your place to avoid losing your deposit. Periodontal disease may require therapy beyond the initial cleaning, at additional expense. Saturday is Free Exam day from 10 am to 2 pm. No appointment is necessary. Walk-ins seen first come first serve. No purchase necessary. Offer includes bite-wing X-rays, examination, & treatment consultation.